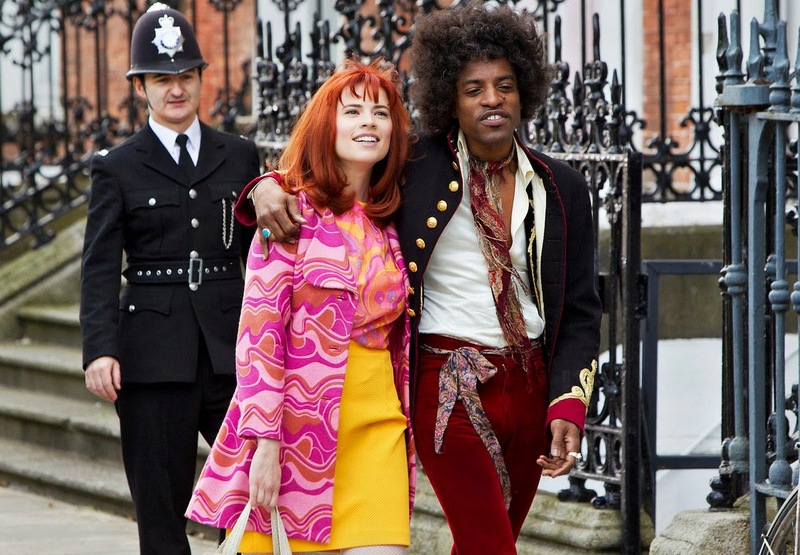 RETRO KIMMER'S BLOG: JIMI: ALL IS BY MY SIDE: HENDRIX FILM PREMIERS SEPTEMBER 26! JIMI: ALL IS BY MY SIDE: HENDRIX FILM PREMIERS SEPTEMBER 26! 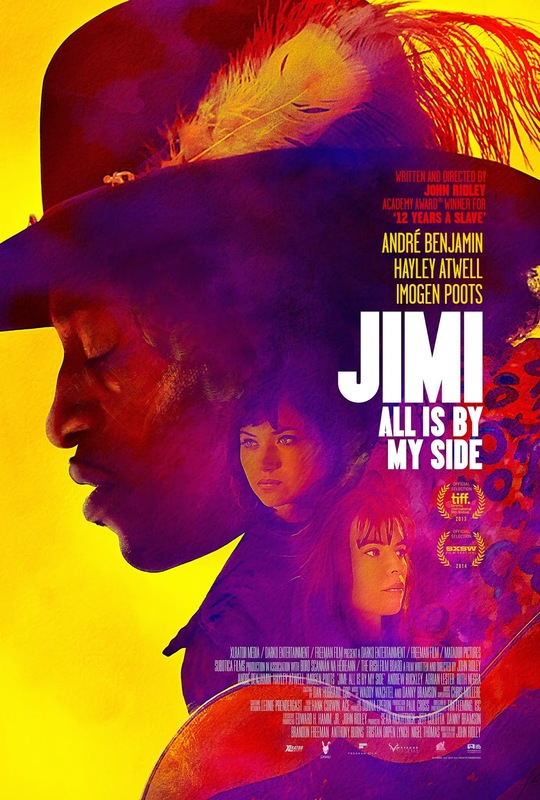 Just received an email about a new film featuring André 3000 (Benjamin) called "JIMI: All is By My Side," written and directed by Oscar-winning John Ridley (12 Years a Slave). It opens nationally (including Detroit's Landmark Main Street 3) on September 26. This new Bio Pic about Jimi Hendrix portray the legendary guitarist with much respect..In the footsteps of quality biography films like Coalminer's Daughter and Ray..
OutKast’s André Benjamin stars as Jimi Hendrix in this revealing biopic from Academy Award®-winning writer-director John Ridley (12 Years A Slave). 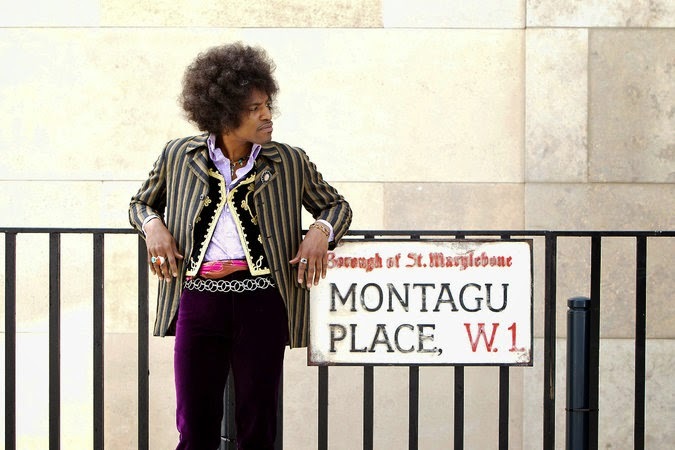 Covering a transformative year in Hendrix’s life from 1966-67, in which he went from a New York City backing musician to making his mark in London’s music scene up until his Monterey Pop triumph, the film presents an intimate portrait of the sensitive young musician on the verge of becoming a rock legend. Legendary producer Danny Bramson (Almost Famous, Lord of the Rings) teamed up with renowned session guitarist Waddy Wachtel to create original music creating the ambiance of the period before Jimi Hendrix wrote his own music; as well as selecting and securing historic tracks from that moment in history from Dylan, Cream, The Beatles, and more. To capture the influence and power of that musical period, we are creating some song playlists using the streaming service Rdio.